Probably the biggest trend was the big Balenciaga Triple S shoe cult-like following that occurred in late 2017 and continues up until the end of this year. Though personally, we believe the Triple S shoes are ugly, the trend picked up and people were buying them out of stock from every retail and online store, simply because everyone else was wearing them. The other shoe craze was the sock shoes by Balenciaga, again, which had the same effect for young people. We can see the use of latex skirts, tops, and dresses from celebrities like the Kardashians, as well as in music videos like “Motorsports” with Nicki Minaj. See-through coats, man bags and fanny packs, and the large skiing sunglasses are all popularized initially by either a model or superstar, and mostly on Instagram. The trend that will continue for years to come, however, is that of the Christmas sweater. The ugliest we have seen is not actually a sweater, but someone actually making themselves into a Christmas tree, with real spheres hanging from their sweater, a glowing red nose, and elf shoes. In conclusion, in this article we discussed some of the fashion trends that happened in the year 2018. These included big shoes, latex clothing, see-through jackets, and man purses and fanny packs. 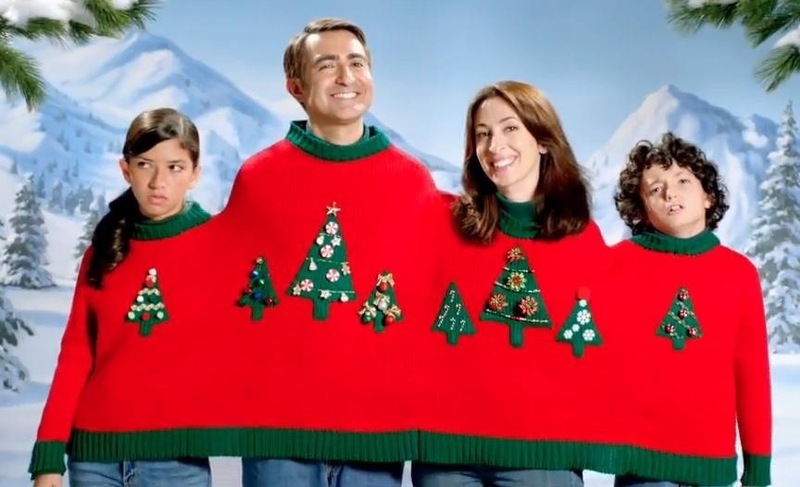 The trend that has maintained itself has been that of the Christmas Sweater and it is bound to continue until we either no longer have Christmas celebrations, or we evolve past wearing physical clothing, until then, we will laugh and compete with each other to see who has the ugliest sweater at the party.